Here at Regal Expoline we are at the forefront of developing line marking fluids using the in-depth knowledge of our technical team working in our purpose built laboratory. We then take this technical expertise to work with real groundstaff, from those marking out for the Champions League through to the local grassroots volunteers, to produce our products. 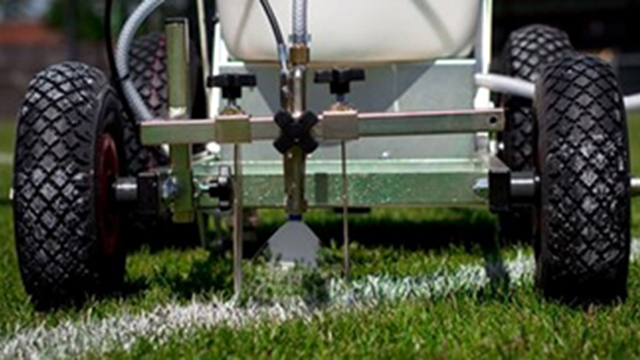 We have a full range of line marking liquids available for any machine and to fit any budget. Whether you are a single pitch professional club through to a contractor marking 75 pitches a week, Regal Expoline Ltd has a solution. Currently there are three concentrates and two ready mix options, including a variety of colours, but there are always more in development as we listen to your feedback. We also supply Line Marking Sprayers, Transfer Wheel Machines, Line Marking Kits, Aerosols, Machine Cleaner etc. We are on a mission to help you turn your precious piece of grass into the best looking pitch EVER! 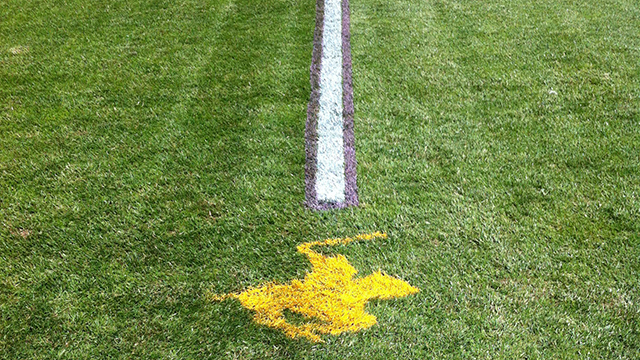 Gone are the days when lines were made of lime, chalk, value emulsion or even ‘burnt’ in – but don’t fear, we are here to bring you the most up to date line marking liquid on the market. We are a British based manufacturer with over 60 years experience amongst the team in developing and making paint & line marking liquids. We can work with you wherever you are to develop the best product for you from our site in Derbyshire. We have a full range of Concentrates, Ready-To-Go Products, Line Marking Machines, Accessories and Technical Support and we invite you to come in and take a look around. © 2019 Regal Expo Line. All rights reserved.